Groove Events is a well respected and long-standing special events company. Our goal is to make your event a success! We strive to build relationships with our clients and share in the beauty of their special day. 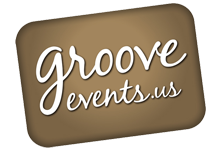 Groove Events has been a leader in the special events industry for over 20 years! We have a great team who have been working together for years, to form a cohesive and effective unit, who will do our very best for you. We offer multiple services and can handle any and all aspects of your event. Our mission is to deliver an extraordinary experience, with memories that will last forever. Our team of professionals are here to help you throughout the entire journey! Our founder, Joe Toto and our full team of event pros are here to help, consult, advise and roll up our sleeves for the success of your event. Company founder Joe Toto, a legendary special events producer/designer, is involved in all aspects of the day-to-day operations and services of our company. A Full-Service special events production and management company, Groove has in-house departments and staffing for Music, Lighting, Photography, Videography, Multimedia, Bar rentals, Furniture rentals, Custom fabrication, Branding, Product launches, Decor and so much more. Our Wedding department is award-winning and very special. We save our married couples time and money, where they only have to deal with one company. Our whole staff will know you and make you feel included and part of the team, your family is our family! You will learn quickly that we continuously educate ourselves in the Special Events industry to help our clients with the Hottest styles and the latest trends! Innovation is the key to a successful event. World Class Events for World Class Clients. From Rio to Boston, Miami to Newport, from around the city, to around the country to around the globe, every client is different and we adapt and become an extension of their personality! Answer: Because we aim to please! We work together with our clients, sharing, collaborating and creating amazing events. We are with you throughout the whole process. This is what we do every day, our full-time commitment. We have the experience and dedication that you can trust and count on! We Love what we do. Let’s share and work together! The team at Groove Events!